Whenever I go to The Garden, a wonderful healthy gourmet market in Brooklyn on Greenpoint's main drag, there is without fail a new local, artisan, organic, or vegan product to be discovered. This week it was GalloLea's pizza kits. I have a notorious soft spot for pizza. Soft, fresh tofu-cashew ricotta, heirloom cherry tomatoes, veggies and plenty of fresh ground salt and pepper, all laid out on top of my secret homemade crust is my usual go-to. But preparing that tofu-cashew ricotta and homemade crust takes time. And that's the thing about homemade pizza: Good homemade pizza requires homemade crust; and homemade crust is time consuming to prepare. 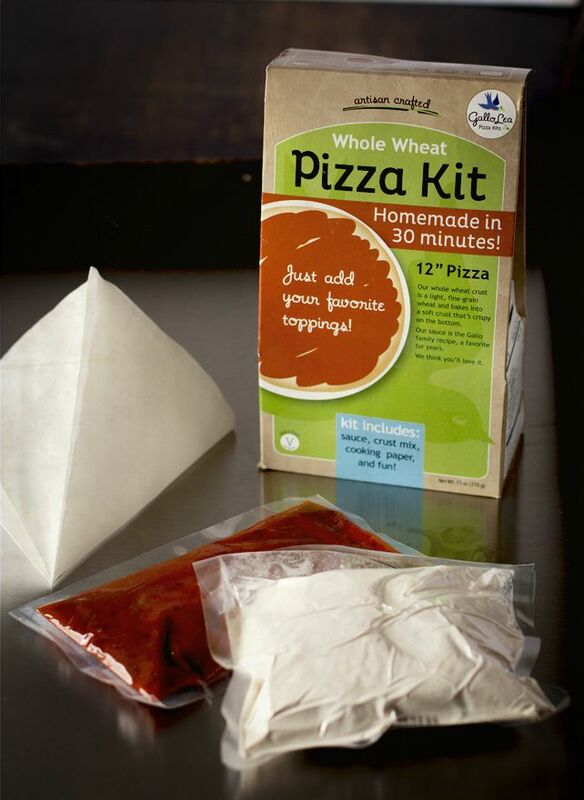 Which is exactly where one of these pizza kits comes in handy. I added salt and a tiny bit of sugar to my crust mix prior to mixing because I found it a bit bland; and this opens me up to thinking about what else I could do to further season and customize the mix. The sauce was great—deep, rich, tasty. 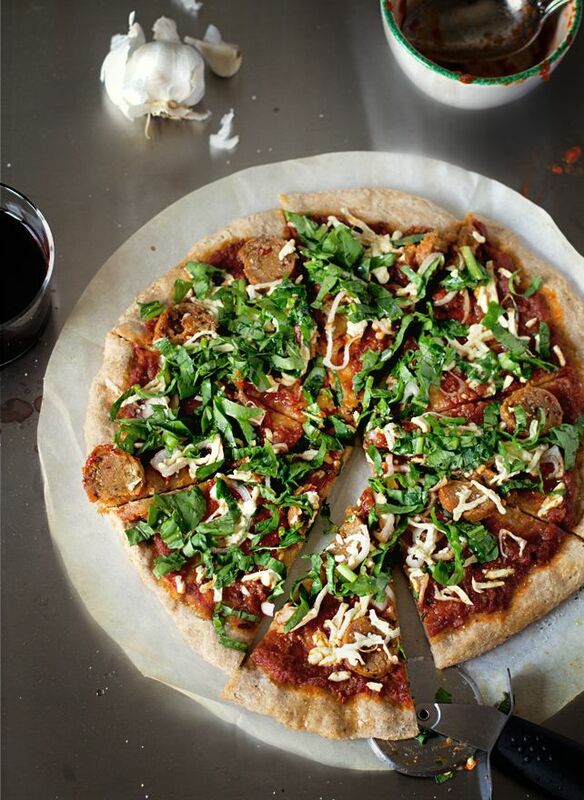 And once you've got the two together, you're looking at a quick and easy blank canvas for the perfect pizza. 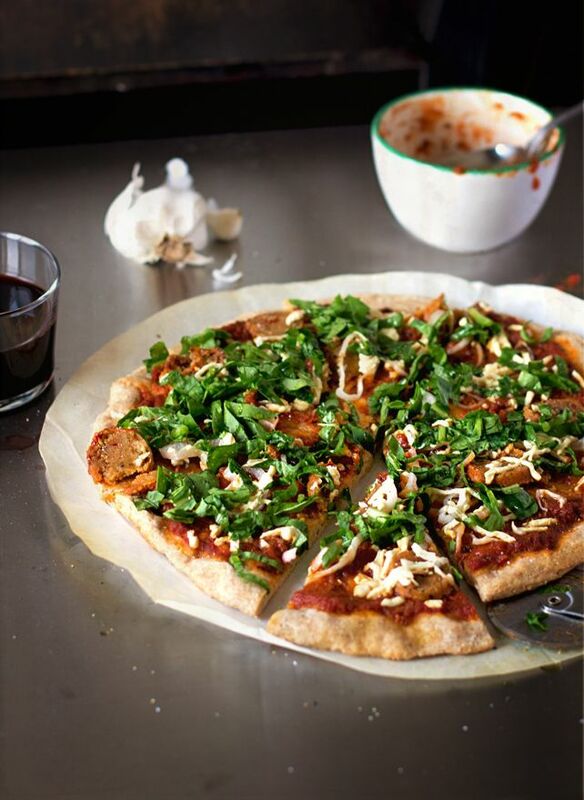 The recipe below uses a few items I had lying around that were calling out to be used: Arugula, garlic, a shallot, and Field Roast Italian sausage. Add some fresh mozzarella with a light touch if you're vegetarian, or Daiya if you're vegan, and after a half hour you've got homemade gourmet pizza. The only thing more satisfying would be having a beautiful brick oven to cook it in. 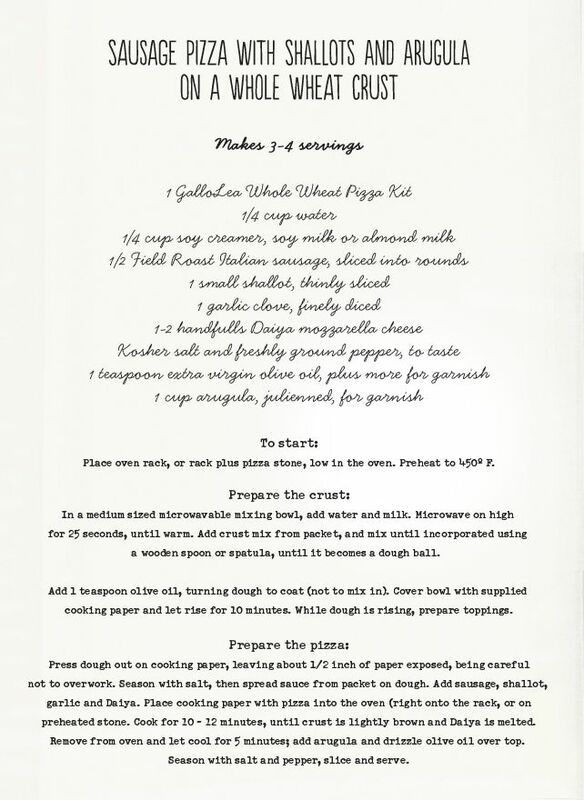 To find out more about GalloLea's artisan pizza kits and buy online or find a location to purchase them near you, visit their website.